The ocean, a long time source of fascination for explorers and adventurers, is now increasingly accessible to all. So as people begin to consider their choice of summer holidays, Idania explains how taking to the sea can offer something for everyone. 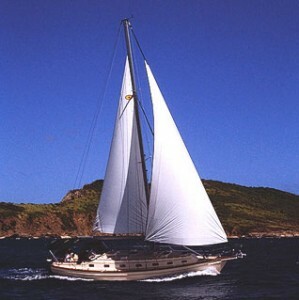 Yachting holidays are understandably popular with all sorts of holiday makers. There is something innately glamorous about life on the water and the best boating vacations really can fulfil people’s dreams. Yet finding the right type of yachting experience can prove challenging; some offer little freedom of choice and stifle independence, whereas others can leave sailors with a feeling of being left out on their own. One option that should suit sailors of all backgrounds, wants and needs, is a flotilla holiday. These sailing holidays have the benefit of being suitable for both experienced sailors and those that are entirely new to the water. The term ‘flotilla’ refers to a number of yachts sailing together from port to port with a shared itinerary under the guidance of a lead boat: the skipper of the flotilla. For those chartering their own yacht, this takes away the often nerve-racking job of navigating in the vast expanse of the sea. It also means that holiday-goers are guaranteed to see the best of their chosen destination. Flotilla leaders possess expert knowledge and know when and where to moor the boats to make the most of the time available. Finally, the skipper and supporting crew will run regular meetings providing advice, weather updates and any technical maintenance required. All of which allows for leisure and pleasure to take precedence over all else. However, creativity is still an option. Sailing holidays such as these can allow independence in deciding day to day activities, as long as the skipper is aware of the plans. So, for example, if you fancy making the most of a secluded beach for the afternoon, it is a viable option. Alternatively, there are plenty of opportunities for socialising if desired. With ‘everyone in the same boat’, for want of a better phrase, shared lunches during mooring or lively nights on shore are easily accessible. Furthermore, with locations forever changing and new friends to make each day, those travelling with children should avoid the dreaded drone of “But I’m bored.” Surely a bonus on any holiday? Holiday companies have worked hard to make sailing increasingly accessible. Although flotillas retain the luxury and exclusivity often associated with a yachting excursion, the price tag is perhaps not as much as might be imagined. It is of course always advisable to search for the best deals in order to find the right arrangement for you. But if you are seeking a holiday that allows freedom when desired, whilst drawing on the knowledge of local experts, then a flotilla might be just for you. So perhaps it’s time to get planning, fill up the cabins with friends and family and create your own holiday experience. Idania is an independent travel writer. She writes regularly on the subject of family breaks, from sailing holidays to adventure treks, for a range of websites and is currently writing a book on the subject.